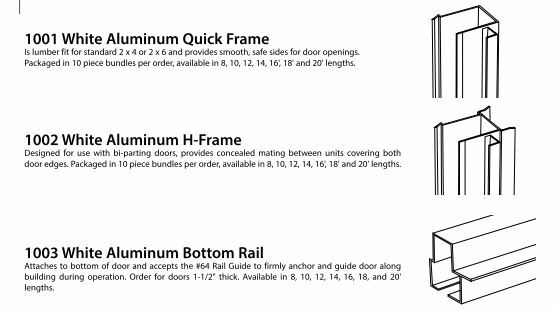 Sliding barn doors require assembly and attention to framing requirements. 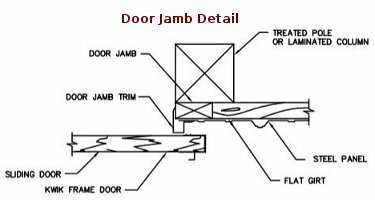 These drawings and tips show where the hardware goes and how to install a door. 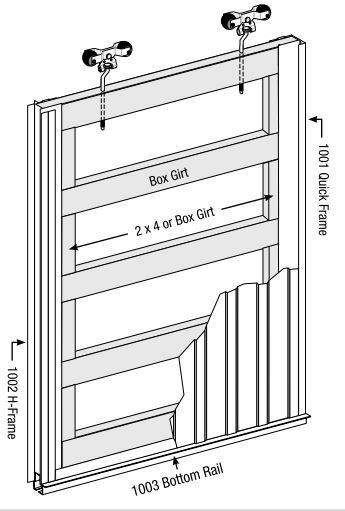 We hope this helps you build sliding barn door for your farm building. We sell economical pole barn kits for farm and ranch. Measure 5 1/2" up from the bottom of header at each jamb post. 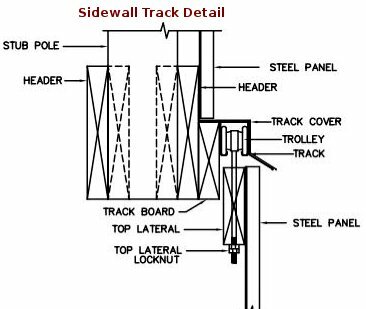 Track board stops before corner to allow corner trim to fit. 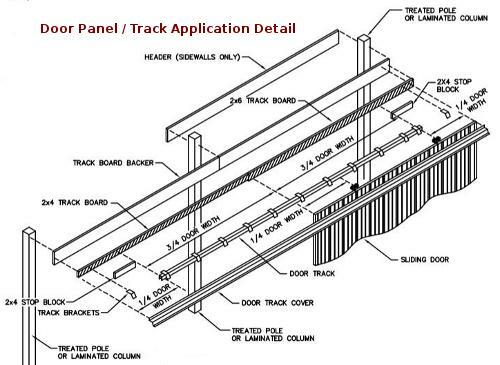 Extend track board from end to end for support for full length door opening. 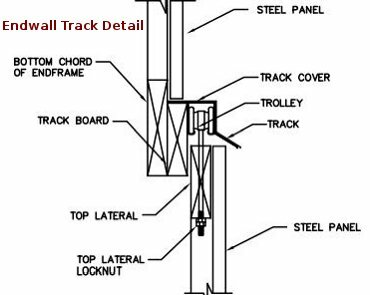 Sliding Barn Door Trolley Inset=Door Width divided by 4 + 3 inches.